Stand on my head. For at least 5 minutes/day, more if possible. Any inversion where your head is below your heart is helpful. Handstand, Downward Facing Dog, Tri-pod, Standing Forward Bend. Inversions are shown to improve brain function, release neurotransmitters, balance hormones, and release endorphins. Practice Breath of Joy 5-10 rounds/day. The strong inhalations and synchronized arm movements, awakens your entire system increasing oxygen levels in the bloodstream, temporarily stimulating the sympathetic nervous system, circulating more prana (energy). Here’s an example to watch if you’re not familiar with this breath. Pamper myself. I immediately schedule Massages, Reiki, Cranio-Sacral Therapy, Restorative Yoga Classes, etc. For you the pampering may look different but whatever it is that calms you and makes you feel cared for or joyful, do it at least 1x/week. If the items I mentioned are too expensive you can find Groupons or engage in less pricey activities like seeing a movie or take a Bubble Bath. Today I took myself to the zoo because animals make me happy! I used a Library pass and it only cost me $9.00 for 2 hours of pleasure.. This Black Handed Spider Monkey was in love with me. He was showing of his aerial skills and would cry every time I said Good Bye and pretended to leave. Increase aerobic activity. More days of Elliptical or TreadMill and HIIT and less of Weight Training and Stretching. This activity releases endorphins and other natural brain chemicals that can enhance mood and energy. Increase Omega 3 ingestion in the form of supplements (Fish Oil) and foods like Wild Caught Salmon. Increasing omega 3’s has direct effects on serotonin levels. Take or Increase St. John’s Wart or anti-depressant meds (if you’re on them and with the approval of your physician of course) which effect serotonin and dopamine levels. 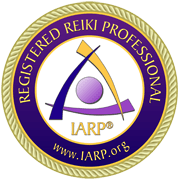 A reiki post from mother! Always a welcomed message. Glad you enjoy these! See you soon Douglas.